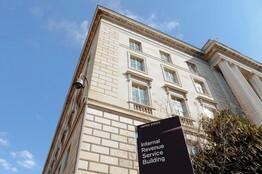 A veteran tax lawyer argued his own case in U.S. Tax Court about an individual-retirement-account maneuver that long had been blessed by the Internal Revenue Service. He lost, and now all IRA owners face dangers they didn't before. The decision in the case, Bobrow v. Commissioner, issued earlier this year, has prompted experts to sound warnings. "People need to be extremely careful, because there's no forgiveness for this new mistake," says Ed Slott, an IRA consultant in Rockville Centre, N.Y. In Bobrow v. Commissioner, the court ruled that taxpayers can do only one such rollover per 12-month period, even though the IRS had previously told the public—in Publication 590—that owners could do one rollover per IRA every 12 months. In other words, someone could do three rollovers per 12 months if he or she had three separate IRAs. Under the new regime, a taxpayer who does more than one IRA rollover in a 12-month period will have the second one disallowed, and the account will often be fully taxable and penalties could be assessed. And unlike with other IRA mistakes, says Mr. Slott, there will be no way for taxpayers to get a ruling from the IRS pardoning this misstep. 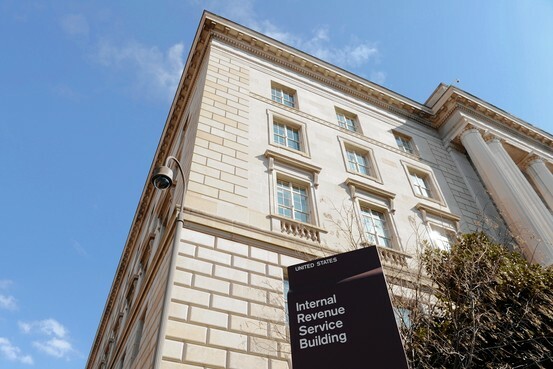 Alvan Bobrow, the taxpayer in the case, used a series of back-to-back IRA rollovers in a way that waved a red flag at the IRS, and the judge disallowed the maneuvers after looking at the original language of the statute. That, in turn, upended the IRS's own more generous—but nonbinding—interpretation of the law. The irony in this case is that Mr. Bobrow is himself a tax lawyer, at the firm Mayer, Brown & Platt in New York. (According to the firm's website, he specializes in multistate tax issues.) He didn't respond to requests for comment. The decision offers a number of lessons for taxpayers. Here is what to consider. Don't appear to taunt the taxman. Tax experts say Mr. Bobrow's case likely drew the IRS's attention because he and his wife made sequential rollovers involving IRAs that gave them access to about $65,000 for six consecutive months. "It seemed abusive," says Natalie Choate, an IRA expert at Nutter McClennan & Fish in Boston. If you claim to be an expert, be sure you are. The judge pointed out that Mr. Bobrow asserted that he was a tax specialist and understood the letter of the law in the statute. When the judge concluded that he didn't, he imposed $10,260 of penalties. Know the limits of IRS guidance. In an order issued following the decision, the judge said that "taxpayers rely on IRS guidance at their own peril" and cited several cases. While the judge's pronouncement may technically be true, experts say this case is highly unusual. It involved IRS guidance that was more generous than the letter of the law and a tax lawyer who seemed to take advantage of it. The judge's order also noted that after the decision, the IRS extended some relief to Mr. Bobrow and his wife that lowered their tax and penalties. Understand the difference between an IRA transfer and an IRA rollover. This decision doesn't affect taxpayers' ability to transfer one or more IRAs directly from one trustee to another, such as between Fidelity Investments and Vanguard Group. In such transfers, the taxpayers never take possession of assets. 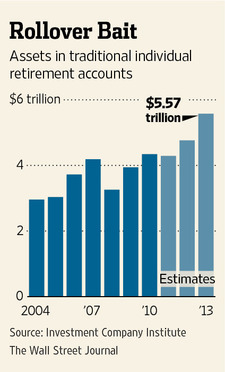 Rollovers, by contrast, allow the IRA owners access to their funds. Shun IRA rollovers whenever possible. Experts say to handle rollovers with extreme care. Use them rarely, if at all. "It's easy to forget the 60-day deadline, and then the entire account becomes taxable—plus a 10% penalty if the taxpayer is under 59½," Ms. Choate says. That said, sometimes rollovers are necessary. For example, paperwork-averse IRA sponsors sometimes tell IRA owners who ask for a transfer to another sponsor that doing so will take months—and then offer to write a check for the assets immediately. Understand the nuances of the new regime. The one-rollover-per-owner restriction applies to IRA-to-IRA rollovers, but it doesn't apply to moves from a 401(k) plan to an IRA. If an employer gives a departing worker a check for 401(k) assets that he moves to an IRA within 60 days, that doesn't count as an "IRA rollover." Note also that the new restriction applies to one rollover per 12 months, not per calendar year. So if a taxpayer does an IRA rollover on Feb. 1, he can't do another one for 12 months with any IRA. Be wary of the postponed deadline. Because the IRS itself was surprised by the decision, it delayed the new regime until next year. But it's unclear whether a rollover done in, say, May of this year would taint one done in January of next year, says Mr. Slott. "We've had enough surprises with this issue. Stick with IRA transfers," he says.